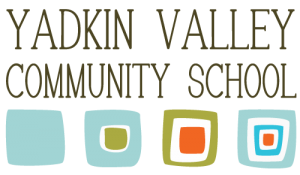 Interaction with parents and community members is key to the success of the Yadkin Valley Community School. We welcome you to come share your passion, knowledge or expertise with our inquisitive young minds. Are you good at: poetry | chemistry | art history | music | storytelling | quilting | gardening | dance | cooking | writing | bird watching | karate | speaking Spanish | biology | yoga | weaving | rock balancing | being a reading buddy | meditation | photography | programming | animation or construction? Do you have any other special gifts that you would like to contribute to our well-rounded learning environment? Contact Kimberly at 336-526-2625 or kim@yadkinvalleyschool.org to find out about volunteer opportunities.